High Performance 300 Yard Ammo for your 30-30 rifle... These 30-30 "LeveRevolution" cartridges have a soft plastic point that's compatible with the tubular magazines of lever action 30-30 rifles. The benefit is that at last you can shoot pointed "spitzer" bullets in your 30-30 for flatter trajectory and longer range hunting and shooting... Out to 300 Yards! Of course we've been doing that for years in our Model 97D Single Shot Rifles... But that was with handloaded spitzer bullets. These 30-30 LeveRevolution cartridges have 160 grain spitzer bullets in factory loaded 30-30 Win ammunition. Velocity is listed as 2400 fps. 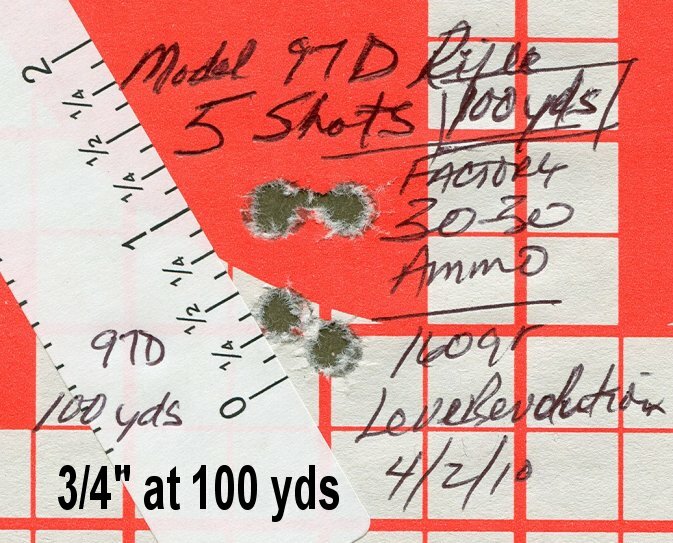 Sight your gun 3" high at 100 yards, it'll be right on at 200 yds and 12 inches low at 300 yards. Yes, this is extraordinary... Upgrade your 30-30 to 300 yards by simply switching to Hornady 30-30 LeveRevolution Ammunition!